On the site of the newspaper of the Archdiocese of Saint Paul and Minnesota, The Catholic Spirit, there is a list of reasons why we go to Mass. It seems the Catholic Spirit have plucked this from Card. O’Malley of Boston. Here it is. With due respect to His Eminence, I would add a couple more, either one of which could give you a nice round “10 Reasons”. Perhaps they are implicit/included in His Eminence’s list. However, I like points like this to be clear. 12. Because we have to restore the older form of Mass. 13. Sine dominico non possumus. 14. Because it is God’s will. This entry was posted in SESSIUNCULA and tagged Card. O'Malley, Eucharist, Holy Mass, martyrs, martyrs of Abitina, Precepts of the Church, sine dominico non possumus, The Catholic Spirit. Bookmark the permalink. 39 Responses to Is this list complete? I go to Mass to worship God in the Eucharist and take part in the Mystery of Calvary. Like Mother Teresa, I go to look at God and give Him time to look at me. Mass is a sacrifice we offer to God, so number 7 (” To participate in Jesus’ victory over death and the salvation of the world.”) resonates well with me. I am on vacation with my family in Brazil, so I have not yet heard the new translation! I am going to pose this question to Father Javier on the parish I am attending mass here; it might make into the parish bulletin. 11) To offer a Reparation to God for our sins and the sins of the whole world. Probably implied, but why so wishy-washy?….to receive the Body, Blood, Soul, and Divinity of our Blessed Lord in the Holy Eucharist..
To personally stand at Calvary and witness the sacrifice of the Living God. To offer my life (prayers, works, joys and sufferings, my whole being) in union with the Lamb of God. It is a list of the modern perspective – detailing what “we” desire. All good results for obedience to the unspoken Third Commandment of God, His desire. We love God the Father, Son, and Holy Spirit, thank Him, praise Him, and try to keep His holy precepts, given for love of His people. Being at Mass is our way to Him and His way to us through His Priests. May He bless and keep them, help steady our love, and forgive us all our times of unholiness. The Mass is far more than just a “feel good” experience as the good Cardinal seems to imply. I go to Mass because it is the Sacrifice of Jesus Christ, which is not only the salvation of the Church, but the salvation of the world. If we do not have Christ’s sacrifice, we do not have either physical or spiritual salvation. I believe that without the Sacrifice of Christ being constantly offered to our Heavenly Father, our sins would call down the destruction of God upon the entire earth. There is nothing more important in the entire universe than the Sacrifice of the Mass. It is the Sacrifice of Christ, and thus the Sacrifice of the Mass, that stands between mankind and total destruction. We offer unto thee, O Lord, the chalice of salvation, and of thy mercy grant that in the sight of thy divine majesty it may ascend as a sweet-smelling savour for our salvation, and that of all the whole world. I think number 6 is the best equiavlent to Fr Z’s number 11 – we desire to be transformed by God’s grace because we need that to face judgment. It is also the (desired) effect of receiving Jesus’s body and blood so in a sense addresses introibo’s desire, although I think he was really asking that the list be a bit more explicit. It is a good list couched in terms of a response to the luke warm or incomprehending who say “why go to mass”? In that sense Number 1 encompasses all the others – authentically to respond to God’s love includes those that follow and also most of the other suggestions (all good) that have been added. And don’t forget number 15) Because missing Mass without approriate reason or unforseen curcumstances preventing one from going, places the person in a state of mortal sin. a. Nothing of this world approaches the importance of Jesus’ sacrifice of Himself which takes place in each Mass. b. The grace of the Sacraments prevents me from doing even more harm to others through sin than I already do. c. What shall I render to the Lord, for all the things He hath rendered unto me? implicit, especially in Father’s #14, but: to worship God as He has commanded us to do. We were created to be in a proper relationship with Him: this is called “the Mass”. I’m not very impressed with their list. I go because I want to receive Jesus and this holds true even if I was unable to go to confession and so am having to make a spiritual communion until I do. I’m still there because of Jesus. I go because God wills that we observe the sabbath with attendance at Mass and to miss without good reason is a sin. I go because this discipline seems to set the tone for my entire week. That quote from the martyrs of Abitina is one of my absolute favorites. For years, I had it taped to my refridgerator. The Eucharist…as if we need any other reason! I don’t think I’d add “because it is a precept”. We shouldn’t do things simply because there is a rule or law thats says so. Wouldn’t that be Judiasing (as St Paul taught)? Actually, Cardinal O’Malley does include “Sine dominico non possumus” in his pastoral letter as well several of the other reasons listed here that weren’t in the Catholic Spirit’s list. It’s just that he didn’t include them in his number list of reasons. After all, you could write thousands of words on why one should go to Mass, but this already long pastoral letter was aimed at an audience of people who’ve stopped going (or there friends and relatives who to ask them to come back) so perhaps it was most prudent and pastoral to keep the numbered list short and straightforward. The pastoral letter, for those who haven’t seen it yet, is available online. Because God tells us to. (like number 14). Because, in justice, we owe God worship. Because the hand holding during the Lord’s prayer and the cocktail style piano music make me feel warm and fuzzy inside. It’s almost as cool as Oprah’s “Favorite Things”. In order to glorify God. God’s commandments and the teachings of the Church that are based upon them are often misunderstood as burdens instead of guidance and wisdom for a joyful and peaceful journey through this life and into the next. God created us and knows what will make us truly happy. God’s Third Commandment instructs us to keep the Sabbath holy. For Christians, this weekly Sabbath is Sunday, which the early Christians always called the Lord’s Day. By keeping Sunday for God, by keeping first things first and putting God above other things, we will experience greater order and more peace in our lives. The Church calls every one of us to make a commitment to attend Sunday Mass. In doing so, we promise to do our part to keep up our relationship with Christ and with our Church family — the Body of Christ. Christ’s relationship to the Church is described in Sacred Scripture as that of a Bridegroom with his Bride.23 His self-sacrificing love is something the Church seeks to reciprocate. It is a model of the love between a husband and a wife. Imagine if a wife, celebrating an anniversary dinner with her husband, told him that she accepted the dinner invitation only to “fulfill an obligation.” How would you feel to be on the receiving end of that message? Likewise we are at Mass in response to a commitment of love, not just to fulfill an obligation. Christ eagerly desires to meet us in the Mass and to be present with us at all times. He hopes that we reciprocate His eager desire and make it a personal commitment each week of love and gratitude. @ L. – do you have stats to back that up? I’m a cradle Catholic, so are most of my cousins and friends, and we don’t go to Mass because our parents make us go. #4 (and #5) sounds really weak – though it uses scriptural language. I would have put it “for the salvation of my wife and family which I bring with me to Mass”. I imagine those in a mixed marriage could include “for the conversion of my spouse”. For the answering of my particular intentions, which I bring to me to Mass (and general intentions like for the Holy Father). To receiving instruction in the faith? Kind of like #9, but it’s more focused on receiving the guidance, than about following that guidance later (which we could base on instruction elsewhere). I must not have made it clear that I was writing about Catholic children, since the list, as I read it, was not limited to adult Catholics. So, I have only anecdotal evidence to support what I wrote- I would not have gone to Mass on my own when I was a child, at least not initially, because I did not understand any reason for going other than that my parents insisted, God bless them. I think it’s probable that there are those adult Catholics who go to Mass primarily because their parents, or others, expect them to go. I’m with introibo-the list sounds wishy-washy. I like Father Z’s additions better. I would add another to the list: I go to Mass to receive the graces to save my soul and be with God forever in heaven.
. . . and, to crib a phrase from my childhood among the separated brethren, “it is meet and right so to do”. The list is necessarily incomplete, as it would be nearly impossible to enumerate all of the reasons for going to Mass. Cardinal O’Malley’s pastoral letter is twelve pages long, and it contains some very good reflections on the importance of going to Mass, on the new English translation, and on the mission of the Church. 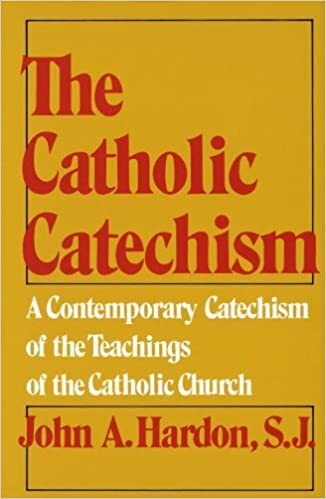 However, I would expand on his reasons 3, 4, and 5 (our parish family, our particular family, our children and grandchildren) to emphasize the universal perspective of the Catholic Church. We are not only members of the “local” community, but rather, members of the whole Church, the Body of Christ, united with the Pope and with the faithful throughout the whole world. Expanding on #1 and #2: To be glorified by experiencing His glory. We are dead men in need of Life. The Sacraments are our medicine. Repentance and humility are our state. 3. That the surroundings incline you to good and reasonable thoughts, and for the moment deaden the rasp and jar of that busy wickedness which both working in one’s self and received from others is the true source of all human miseries. Thus the time spent at Mass is like a short repose in a deep and well-built library, into which no sounds come and where you feel yourself secure against the outer world. 4. And the most important cause of this feeling of satisfaction is that you are doing what the human race has done for thousands upon thousands upon thousands of years. This is a matter of such moment that I am astonished people hear of it so little. Whatever is buried right into our blood from immemorial habit that we must be certain to do if we are to be fairly happy (of course no grown man or woman can really be very happy for long–but I mean reasonably happy), and, what is more important, decent and secure of our souls. Thus one should from time to time hunt animals, or at the very least shoot at a mark; one should always drink some kind of fermented liquor with one’s food–and especially deeply upon great feast-days; one should go on the water from time to time; and one should dance on occasions; and one should sing in chorus. For all these things man has done since God put him into a garden and his eyes first became troubled with a soul. Similarly some teacher or ranter or other, whose name I forget, said lately one very wise thing at least, which was that every man should do a little work with his hands. 1. At Mass, we offer the Blood of Christ in atonement for our sins. Mr. Dailey, thank you for that lovely quote from Belloc on the virtues of daily Mass. About says it all, really. In deep gratitude for everything in whom all good originates. 1. I love the Mass. 2. I’m grateful that the Lord called me out of darkness and into the wonderful light of the Catholic Church. 3. I want to become more holy. 1) The uplifting song of the St. Louis Jesuits! 2) The Sign of Peace! To pray for stronger Church leaders with more forceful voices. I don’t have any beefs with anything in particular on the Cardinal’s list, but the whole of it does have the flavour of something that would come from a man who refers to himself as “Cardinal Sean” on his official website (which he does). It is not always what we present, but the way we present it, that makes an impact. The language “Cardinal Sean” uses makes something of a weak impact, at least upon me. It is typically soft in that softened language that modern clergy seem to default to. I respectfully submit that our priests and prelates need to learn how to talk like men, again. Not like bombastic jerks, mind you. No. But like men. Perhaps they can begin by ceasing to call themselves “Cardinal Sean” and the like. It’s stylistically incorrect in any case. He is not “Cardinal Sean” or even “Cardinal Sean O’Malley.” He is “Sean (,)Cardinal O’Malley.” A cardinal’s style includes his rank (cardinal) and his surname name (as a form for his title). His Christian name(s) precede his rank and title (surname). It follows the same pattern employed by British nobility. One is, for example, “Sean, Viscount O’Malley” and never “Viscount Sean O’Malley,” “O’Malley” being the title that is coupled with the rank, and not “Sean O’Malley.” But I digress. Let’s elevate the tone, especially in the case of those who don the sacred purple. How prelates say things is just as important as what they say.